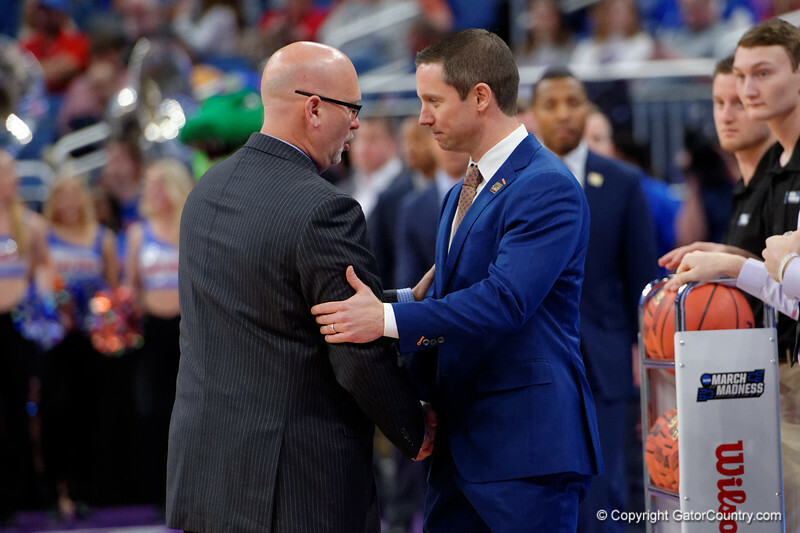 Univeristy of Florida Gators head coach Mike White and East Tennessee State University Buccaneers head coach Steve Forbes shake hands before the game as the Gators advance to the second round of 2017 NCAA Tournament with a win over the East Tennessee State Buccaneers 80-65. March 16th, 2017. Gator Country photo by David Bowie.